Nuance Wall Shelf with Sliding Door adds the final touch to your room setting. Combine one or more shelves to add contemporary storage section to your wall. Nuance Wall Shelf features a sliding door and is divided in 2 sections; it is also easy to install. Nuance Entertainment Collection is loaded with smart features and offered in a rich contemporary Espresso textured lacquer and Ebony finish. Nuance Wall Shelf with Sliding Door Nuance Wall Shelf with Sliding Door adds the final touch to your room setting. Combine one or more shelves to add contemporary storage section to your wall. Nuance Wall Shelf features a sliding door and is divided in 2 sections; it is also easy to install. Nuance Entertainment Collection is loaded with smart features and offered in a rich contemporary Espresso textured lacquer and Ebony finish. 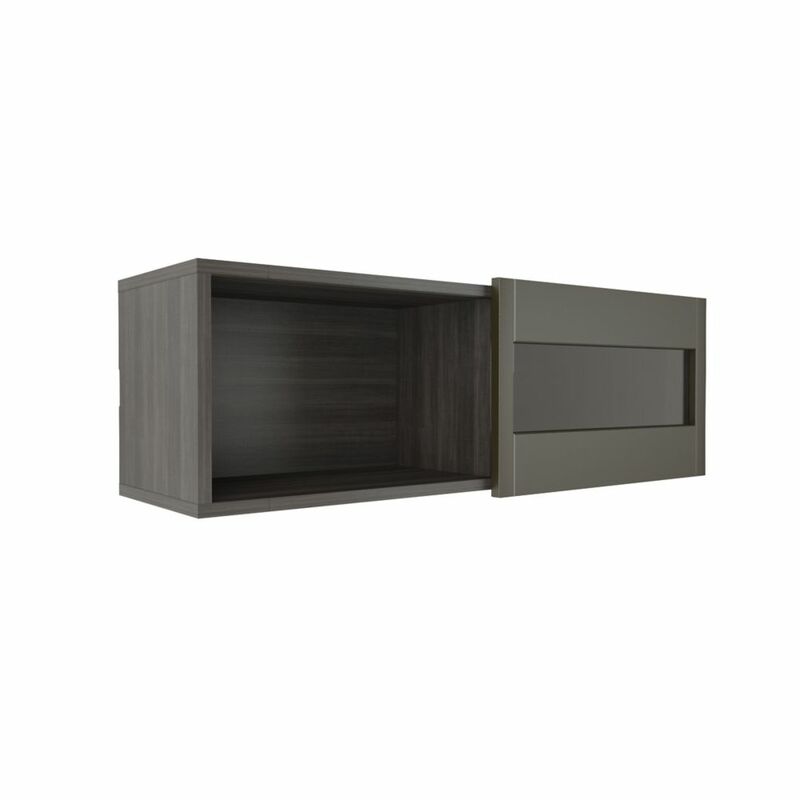 Nuance Wall Shelf with Sliding Door is rated 5.0 out of 5 by 1. Rated 5 out of 5 by danny from great product i bought this product a month ago. it was so easy to put together. i suggest this company and product to everyone .